The wording of the blessing upon wearing a Tallis Katan is “Al Mitzvahs Tzitzis”. Practically, is one today to say the blessing of Al Mitzvas Tzitzis upon putting on a Tallis Katan? 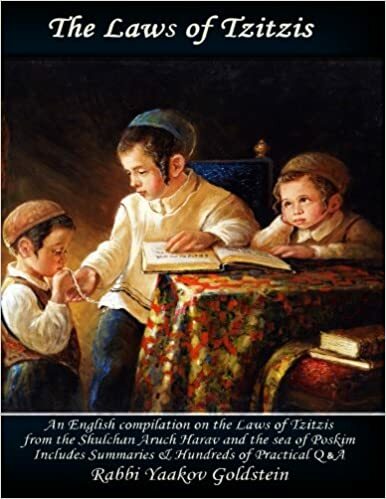 The Chabad custom, as well as the custom of majority of Jewry today, is to recite a blessing of Al Mitzvas Tzitzis prior to wearing a Tallis Katan, as is required from the letter of the law. In previous times however many were accustomed not to recite any blessing on a Tallis Katan. Some communities follow this custom even today. If one said the blessing of Lehisatef Betzitzis on a Tallis Katan is he Yotzei? Is one to say a blessing over a Tallis Katan worn prior to Davening if he will be wearing a Tallis Gadol for Shacharis? The letter of the law: See Halacha 13B! Having in mind one time for one’s entire life: In order to have the blessing of the Tallis Katan included in the blessing of the Tallis Gadol it suffices to state even one time that whenever one says the blessing over the Tallis Gadol he has in mind to include the blessing of the Tallis Katan. Said a blessing on the Tallis Katan: In the event that one went ahead and said a blessing on the Tallis Katan prior to wearing a Tallis Gadol, he is nevertheless to recite the blessing of Lehisatef on the Tallis Gadol. This applies even if one wears the Tallis Gadol in close proximity to the blessings aid on the Tallis Katan. If however one had in mind to include the Tallis Gadol in the blessing of Al Mitzvas Tzitzis, then a blessing may not be repeated. Does a married man say a blessing prior to wearing a Tallis Katan if he is already after Davening? Yes. A married man is to recite a blessing upon putting on a pair of Tallis Katan after Shacharis, just as is the law regarding one who is single. Thus, those that put on a Shabbos Tallis Katan after Mikveh on Erev Shabbos are to recite a blessing over it [immediately after leaving the Mikveh]. May one recite a blessing on a cotton Tallis Katan? Yes. However a G-d fearing Jew is to avoid doing so if the strings are made of wool. Is one to recite a blessing upon changing his Tallis Katan such as on Erev Shabbos, or upon changing to a different pair? Yes. One who switches his Tallis Katan after Mikveh on Erev Shabbos is to shake his Tzitzis and recite a blessing upon leaving the Mikveh. This applies irrelevant to whether one is accustomed to wear a Tallis Gadol for Davening. See Halacha 13 in Q&A! On Tishe Beav, is one to wear a Tallis Katan with a blessing? Some Poskim rule the Tallis Katan is worn under one’s clothing without a blessing. Others however rule a blessing is to be recited. The reason: As majority of the Tallis Katans of those times did not have the Shiur Tallis. [ibid] Alternatively, because the Tallis Katan of today is not large enough to wear outside in the market and is hence exempt from Tzitzis. [Ashel Avraham ibid] Alternatively, this is because we suspect for those Rishonim that rule the blessing of Al Mitzvas Tzitzis is invalid. See Chayeh Adam there that one may even initially say this blessing on a Tallis Katan, as rules Michaber 8/6! Vetzaruch Iyun as Admur rules [8/7 and in Siddur] that one must perform the Yishmaeili wrap in order to say Lihisateif. Furthermore, we require that the head be covered during the blessing, and perhaps even Bedieved, as rules Radbaz 1/143; Shaareiy Teshuvah 8/3 “If one does not cover the head when wearing the Tallis by the blessing, he has not fulfilled the blessing.” However, seemingly the Shaareiy Teshuvah is referring to the case of the Maasas Binyamin, in which only the shoulders are covered and not the body at all. Other customs: Some communities are accustomed to follow the letter of the law and always recite a blessing over a Tallis Katan even prior to wearing a Tallis Gadol. [Siddur Tzelusa Deavraham, that so was custom of the Tchechonuv; Mishmeres Shalom 3/1; Tzadikim in Piskeiy Teshuvos 8 footnote 153] The Kaf Hachaim 8/50 rules that in order to avoid all doubt one is to wear a Tallis Katan in the morning with a blessing and have in mind to not exempt the Tallis Gadol, and then say a blessing on the Tallis Gadol when he arrives to Shul. The reason: As a) We suspect the Tallis Katan is not fit for a blessing due to being too small, or having slept with it. [M”B ibid] b) We suspect for the opinion of the Taz that the change of areas between the Tallis Gadol and Katan is not a true interval [See Halacha 14; Kaf Hachaim 8/50]; and c) We suspect for those that hold the blessing of Al Mitzvas is invalid. d) We suspect one may wear it in close proximity and transgress a Bracha Sheiyno Tzericha. Ruling in Hayom Yom: From Hayom Yom it is evident that in a scenario that one places his Tallis Katan on in a pure area where the blessing can be recited, then one is to recite the blessing even if he will be wearing a Tallis Gadol for Davening. One can learn in Hayom Yom, that even when there will not be a time interval between the two Talleisim, one says a blessing on the Tallis Katan if he does not plan to immediately wear the Tallis Gadol. See footnotes above that some Chabad Rabbanim suggest the former custom while others suggest the latter custom, each one bringing proofs from different sources of the Rebbe. Rabbi Groner, upon being asked, did not reply to me that he knows of any set Chabad custom, but simply the Pesak he heard from Rav Dworkin. Ruling of Admur in Shulchan Aruch: In 8/20 Admur rules that only if one will immediately afterwards wear a second Tallis is a blessing is not to be said on the first Tallis which was worn in an unclean area. No mention is made regarding any difference between a Tallis Katan and Gadol in this matter. See Admur 9/5; Chapter 3 Halacha 2A!